"A new year is like a blank book, and the pen is in your hands. It is your chance to write a beautiful story for yourself. 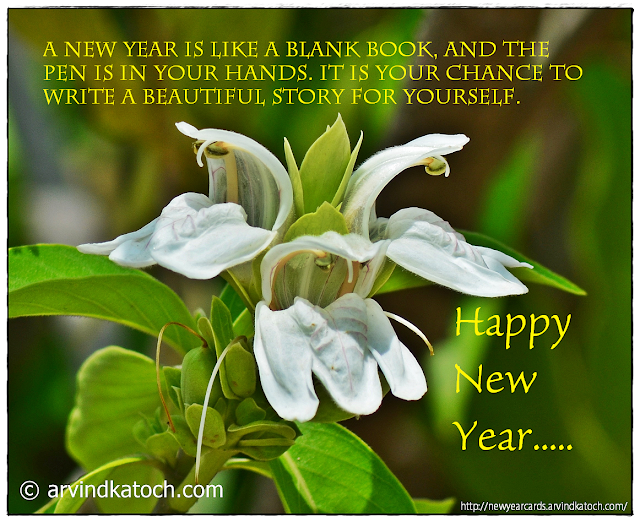 Happy New Year"